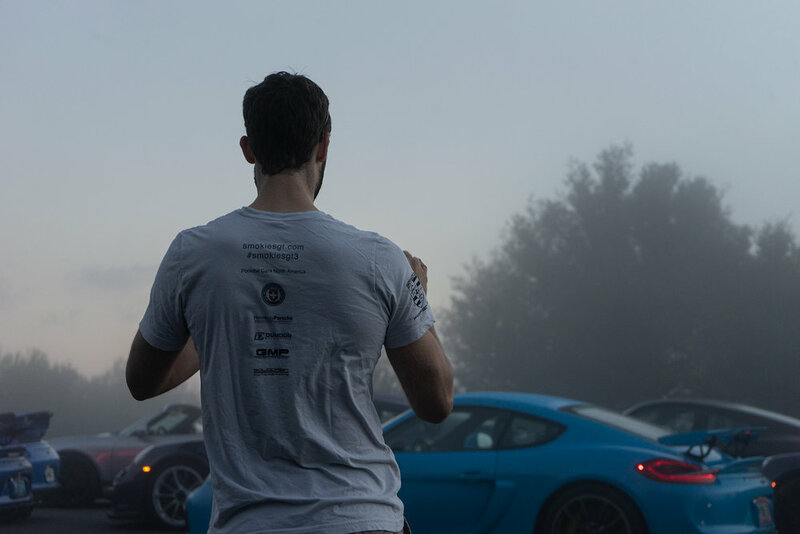 Smokies GT is a not-for-profit diverse community of Porsche GT owners who exist to create experiences where passion and purpose come together. Our passions are driving the best GT cars and making new friends. Our purpose is to help improve the lives of others through creating life experiences and charitable giving. Our success is measured by the growth of our community and contributions to the charities and families we support. We love to drive! We do this responsibly and promote safety at all times - Building friendships and camaraderie are a natural effect of like minded individuals coming together - Our passion fuels our desire to support worthy causes and programs that mainly relate to health and welfare and invariably require heightened awareness and funds. Laps with Leh Keen - Sells Out! On the final day OF AN EVENT YOU'LL REALIZE WHY THE LONG TERM MEMBERS HAVE SUCH A PASSION FOR THIS EVENT AND DON’T WANT IT TO END! YOU'LL FIND YOURSELF HOOKED. We hold an annual Spring event and a much smaller Fall planning group gathering. The Spring event comprises of Driving, Reconnecting with friends, and of course taking part in charitable activities. Our events are by invitation only and are offered to Smokies GT members only. We value the commitment of all our supporters and friends. Whether small or large, each of them have similar values that Smokies GT has promoted from the outset. We choose our supporters and sponsors carefully and aim to develop long term relationships. We endeavor to develop associations that are balanced and mutually beneficial. …the founders cold called a few companies who we thought may want to sponsor an activity or promote their products to our little group of 27 owners. Of the many we called, there was no hesitation from Hennessy Porsche to sponsor an activity. They have continued to support our event every year. They remain our Premier Dealer Sponsor! In 2017 HRE Wheels, Dundon Motorsports, and GMP Performance have donated their products, services, and time to our spring events. Their contributions not only raise funds for the charity we support, but also provide vital technical and support services to our participants. Their participation has continued. We are incredibly grateful to the above organizations for helping us to help others. The success of our group is due to the enthusiasm and commitment of all members and supporters. Whilst we grow, we maintain a close connection to the magical ingredients of the community thats been created. If you own and drive a Porsche GT2,3,4,RS,R, CGT,918 or a specialty Porsche you could apply to join our group of 450+ members. We love volunteers! We’re currently looking for Spring Drive Group Leads, and Airfield Marshalls. If you’re a registered participant, volunteer. Have a passion for our causes? Become a Smokies GT sponsor. You’ll have the ear of over 450 influential individuals and the appreciation of thousands! Our members and supporters have helped Smokies GT raise over $500,000 for The Cystic Fibrosis Foundation. We are well on our way to reach our $1 million goal! In future we aim to support them and other health and welfare programs and communities. Over the past few years, our group has raised over $500,000 for charity and we expect to double that amount to a total of close to $1,000,000 in 2019. Our group has over 450 Porsche GT owners. With many coming together annually to Drive, make Friends, and raise funds for Charity. Safety is our #1 priority. We promote it and the law at all levels, whether on public or private roads and tracks. Our members are held individually responsible to do the same.